With the ongoing popularity of rimfire rifles and cartridges, it comes as no surprise that many enthusiasts are not only out looking for small game or a proper set of fun targets but are also on the hunt for the right scope to fit their rimfire rifle. This is especially true for beginners and novices who appreciate the ease of use and attractive price of a rimfire but may not know much about the right scope to buy. For those that have a bit more experience, a different challenge can arise as you may know what you want from your scope, but the numerous options make choosing the right one a bit of a task. The good news is several standout scopes will easily fit the needs of both rookie shooter and the more seasoned veteran. Before we get to our list of the best rimfire scopes available, let’s take a moment to better understand the key elements and features of a rimfire scope. This will help you figure out what’s most important to your style of shooting and what concessions you might need to make to secure the right one. There is no one size fits all option. Numerous factors go into determining the overall usefulness of a scope. No two shooters are exactly alike, and a lot of outside elements like location and general hunting conditions play as equal a role as comfort and personal taste. First and foremost, you’ll want a scope that’s well built. There’s an endless amount of styles available, but some are stouter than others. Be aware that price isn’t always the best indicator of determining a cheap scope from an option with better craftsmanship. A few things to watch for include single tube construction, weatherproofing, and durability. The latter two perhaps play the most important role since the outdoors can serve up all manner of unpredictable variables. You’ll want a scope that is both water and fog proof and filled with either nitrogen or argon gas (note that while we never recommend submerging a scope in water for extended periods, you’ll want one that can withstand heavy rainfalls and the occasional dunking). With durability, aside from the general feel and build, components always look for manufacturers with strong warranties. 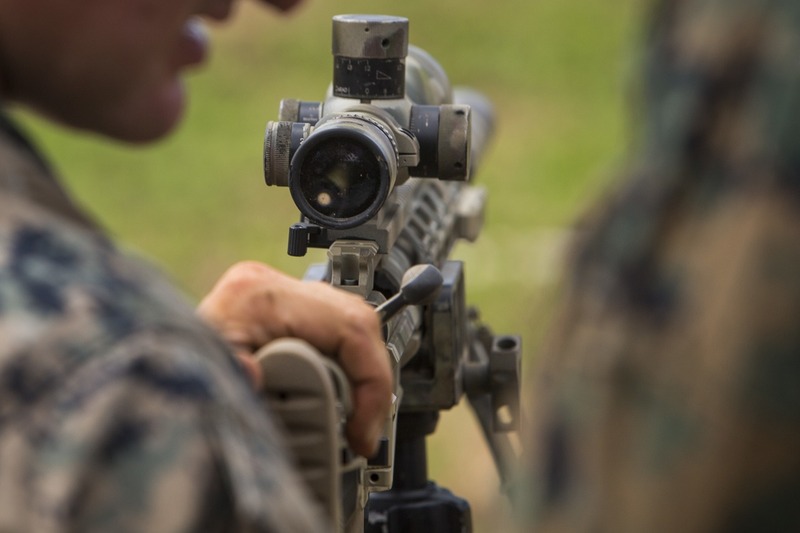 It’s not easy to tell which scope is going to stand up to the rigors of life atop your rifle just by holding them side-by-side. Companies that back their optics with lifetime warranties are usually a good buy. Several considerations are in play when it comes to the lenses of your scope. Coating, objective lens size, and the reticles all work in tandem to help create a visual experience that can make or break the usefulness of your scope. For coating, the optimal solution is fully multi-coated lenses as those give your glass numerous layers of protection between the air and lens surface. Fully coated means it’s just a single layer, and multi-coated simply increases the shielding with a few more layers. The larger your objective lens, the better and more well-lit your sighting will be. A bigger size also provides an advantage in low light situations, but you’ll want to mindful of going too big as it means added weight to your scope (which we cover below). With reticles, you want to be on the lookout for crosshairs that appeal to the eye but also work for the primary game or targets at which you’ll be aiming. Plenty of options exist, but remember that bigger aiming measures work best for big game and up close targeting. Thinner, more fine lines will better service longer ranges and small targets. The main thing to note with Field of View (FOV) with a rimfire is you’ll want something that is as wide as possible. Rimfires work best used for smaller or moving targets, and a minimal FOV only works if you plan on using your rimfire strictly for shooting at stationary targets. Since most of your shooting is at close range with a rimfire, the magnification is less of a factor. 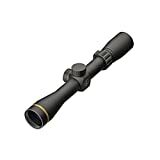 However, you’ll still want to get the most out of what your scope has to offer so one that provides between 3x and 9x magnification should be sufficient. In regards to parallax or the difference of an object’s position when viewed at different angles, you’ll want a scope that can make adjustments for this optical effect. Scopes will offer either a fixed option or an adjustable parallax that allows you to set the range using an adjustable objective or side focus. Here we’re grouping two vital ingredients that can determine just how comfortable it is to use your scope: the turrets and weight. For the turrets, you’ll want to look for sets that are firm while remaining easy to adjust and set. Nobody wants to be in the field and fiddling with an unresponsive and difficult to turn the knob while lining up a shot. Conversely, you don’t want to purchase a scope only to have one of the turrets snap off in your hand. The weight of your scope plays a more significant role in the usability of your rifle than most realize. As a general rule, the majority of rimfire rifles are lightweight and easy to maneuver. A weighty scope atop the barrel can impact the overall performance. Find a balance between a scope’s weight and feature set and the capabilities of your rifle. To ensure our selections were the best of the best, we reviewed hundreds of different scopes and took into account numerous factors to come up the following list. Not only did we review performance, feel, and usability under a number of different conditions, but we also took into account the opinions of fellow shooting enthusiasts, just like you. This allowed us to effectively gauge how these scopes perform in real-world conditions, whether it’s for hunting, pest control, or simple weekend target practice. Now that you know what makes a rimfire scope, it’s time to explore some of the best options. As we’ve mentioned, there’s a lot of personal preference that goes into making a decision on which scope is right for you. So why is that? Many of the best scopes are incredibly similar in both quality and features. One might have better magnification, but then another carries less weight and sits easier in its mount. It comes down to the features you’re most looking for and the price you want to pay. It’s why you see many of the same brands at the top of most enthusiasts must-have lists and, ultimately, on top of their rifles. Nikon, Leupold, and Bushnell all do rimfire scopes exceptionally well. There are a few others out there though that do just as well as the bigger brands. With that in mind here are our best rimfire scopes. We start our list off with the BARSKA 22 Riflescope, a great all around scope that covers a lot of bases. Your magnification range runs from 3x to 9x with multicoated optics and incredibly clear sighting. The FOV is also a healthy 36’ – 13’ and you’re parallax free at 50 yards. The construction of this scope is also top notch as it is both waterproof and covered by a lifetime warranty. The Bushnell entry is a great all-around scope that can serve several skill levels very well. The Drop Zone checks in at a weighty 19.6 ounces, but it earns the size as this is a feature rich scope including a side parallax adjustment turret. It also has a very generous FOV at 50’ – 17′ based on the 2x to 7x magnification. 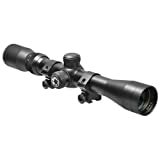 A bit bulkier than other scopes on this list it does have one of the most solid builds. One thing to note here is that it’s specifically calibrated for 22 LR, 38 to 40 grain. We include three Leupold’s on our list because they are just that good. The variations are such that these options, more so than most others will come down your individual needs. For example, both of the VX-Freedoms weigh in at 11.1 (2-7x33) and 12.2 (3-9x40) ounces, respectively. The FX-1 is practically a feather at 7.5 ounces. When it comes to magnification and FOV, there are some decisions to make as well. The VX-Freedoms carry 2x to 7x with FOV 43.8’ – 17.8’ and 3x to 9x with FOV 33.7’ – 13.6 in their two models. The FX-1 magnification is 4x with 25.5’ FOV. Everything amongst these scopes can be counted on to be first class with each being water and fog proof, all three having clear, scratch resistant lenses, and all covered by a lifetime warranty. One of the top optics producers, Nikon has plenty of fans, and with the ProStaff, it’s easy to see why. If there is a scope that’s made to fit almost every need, this could be it. Magnification runs 3x to 9x, and your FOV is a solid 34’ – 11’. The BCD reticle provides a nice touch for those who are fans of it, but it can be of great use to novices just starting out. The objective lens allows for incredibly clear sighting. 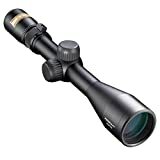 If you own several types of firearms, this scope is a nice buy as it’s not strictly for rimfires. 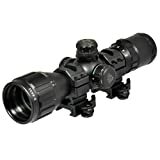 The second Nikon to make our list shows that along with Leupold, these two manufacturers have a clear handle on how to build fantastic scope optics. Magnification runs 2x to 7x with FOV 22’ – 6’ at 50 yards. Parallax is 50 yards. 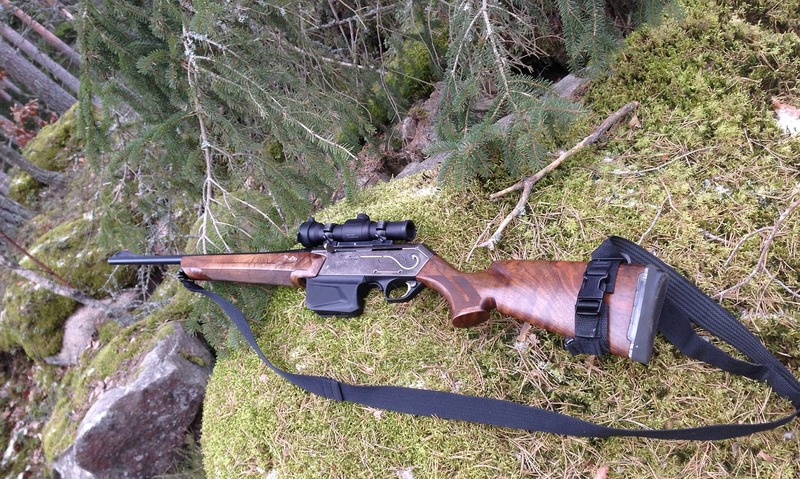 Along with the ProStaff, the P Rimfire features a solid build and optics to match. Both Nikon’s are water and fog proof with lifetime warranties. We’re big fans of the BugBuster and not just because of the nifty little name. A versatile scope, the BugBuster isn’t solely designed for rimfire’s but will certainly do as much or even a bit more as any on our list and at a similar price point. Magnification is 3x to 9x and FOV at 100 yards is a solid 37.7’ – 14’. The parallax setting runs from 3 yards to infinity (effectively 250 yards). Other features include RGB illumination, mil-dot reticle, and emerald coated lens. As we said, it’s a versatile, well-built scope that is also backed by a lifetime warranty. We know there’s a particular segment of shooter that likes the classics. Considering that Weaver Optics has maintained a great product line for much of its 90 years, the Weaver Rimfire is a perfect choice for those that like a little history. The sleek design weighs a super light 9.75, and the single piece aluminum tube is water, fog, and shockproof. Mult-icoated optics, parallax at 50 yards, and a FOV of 40’ – 15’ on 2.5x to 7x magnification round out the main feature set. This Weaver is a good-looking scope that performs even better. We realize that’s probably a lot of information to unpack in one setting, but in addition to the general buyer’s guide, we took great care in rating the best scopes available. 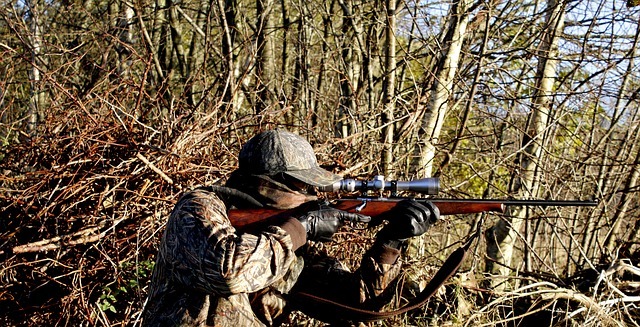 Regardless if you’re looking to take out some irritating rodents, capture small game, or enjoy recreational plinking, any of the above scopes are excellent options. Ultimately, when looking at this level of scope, there isn’t a wrong choice, but more often than not, there ends up being a right choice for you. So before you buy, determine what you want out of your scope, be honest about your skill level, and assess your must-have features. It will serve you well and guarantee that your shooting time outdoors is always an enjoyable experience.